Portrait artist, Robert Maniscalco travels to Atlanta, GA.
Over the years, I have created a lot of portraits all over the country. Here are just a few of the many favorites I have painted for my clients in Atlanta, GA.
It’s like a second home to me as a portrait artist. I travel there frequently and can create portrait paintings from your good quality photographs or I can come to you and take some of my own. It’s fun and easy. 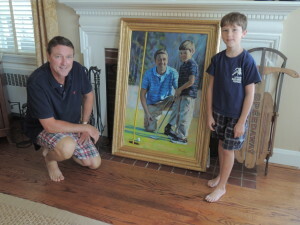 Right now I am offering a special deal to those living in Atlanta, GA who may want to explore having a family portrait. Contact me for details. It’s a great way to say I love you to the family.